As the back of Admiral Screed's coin states, here we have "A ruthless Imperial officer and persisent adversary of the DROIDS ARTOO-DEETO and SEE-THREEPIO." 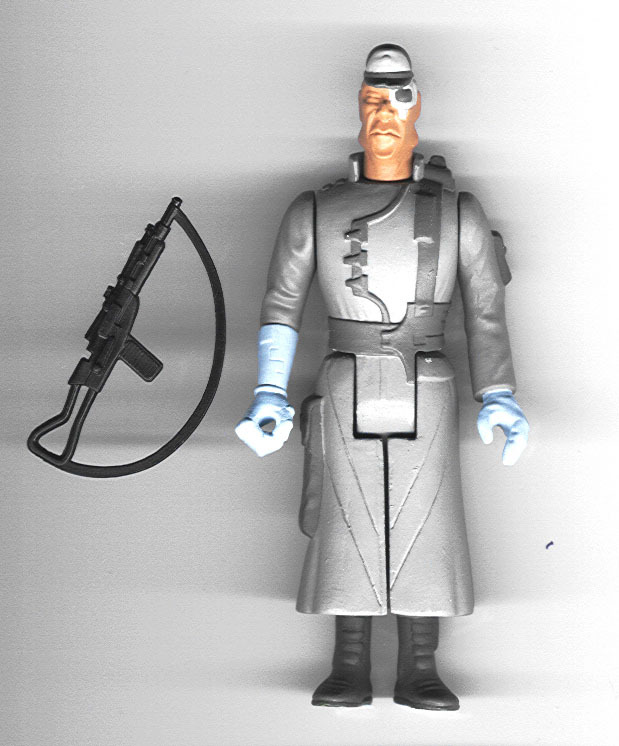 Admiral Screed is, in my opinion, one of the coolest unproduced toys from the vintage Kenner Star Wars line. Apart from a RocketFett, which I believe most collectors would consider the "Holy Grail" of vintage collecting, I feel that what a collector considers to be his or her most desired piece(s) is a very individualistic and personal thing. I count myself very lucky that I was able to obtain what I consider to be one such piece. Here's the back. 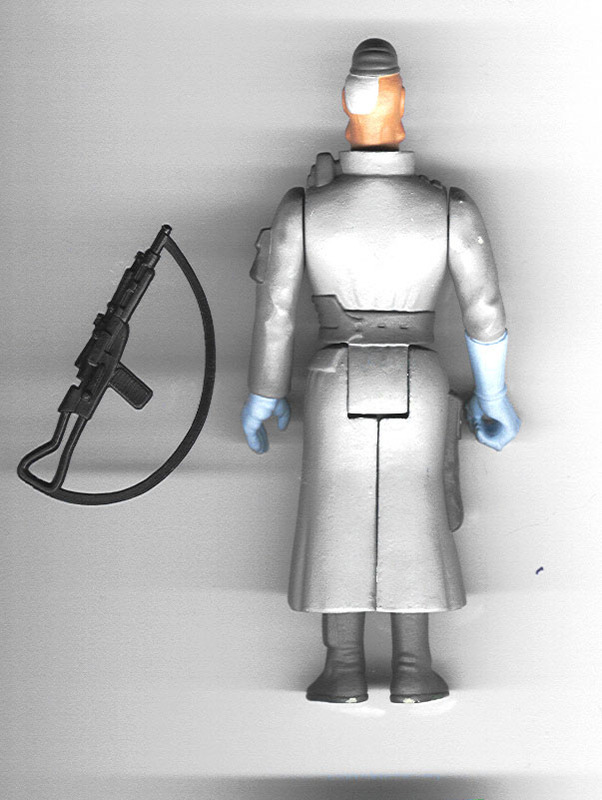 Although it is not evident from the scan, the bottom of the feet have the remnants of glue, indicating that this figure was once used as a display piece, perhaps for an industry show such as Toy Fair.